Probably the best wedding photo I have seen all year! Certain customs are so similar everywhere. Really nice photo. i, too, love the kid in the back! that is PURE joy, and such fun with the people trying to sit and smile right, in front of him. 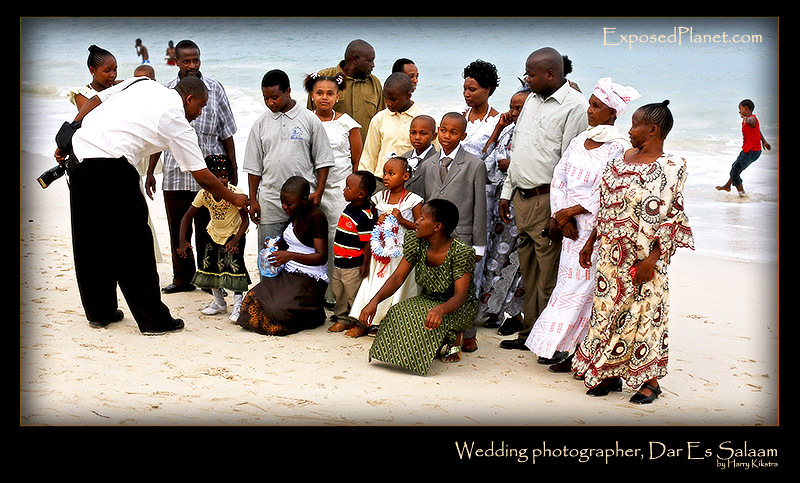 The story behind "Wedding party on Oyster Beach in Dar Es Salaam"
My local colleague is trying to line up a family for some nice shots. I love it that in the back kids are playing in the warm sea. Oyster Beach is a lively and fun place, with loads of local snacks to be eaten and music and performances to be seen. My local colleague is trying to line up a family for some nice shots. I love it that in the back kids are playing in the warm sea. Oyster Beach is a lively and fun place, with loads of local snacks to be eaten and music and performances to be seen.